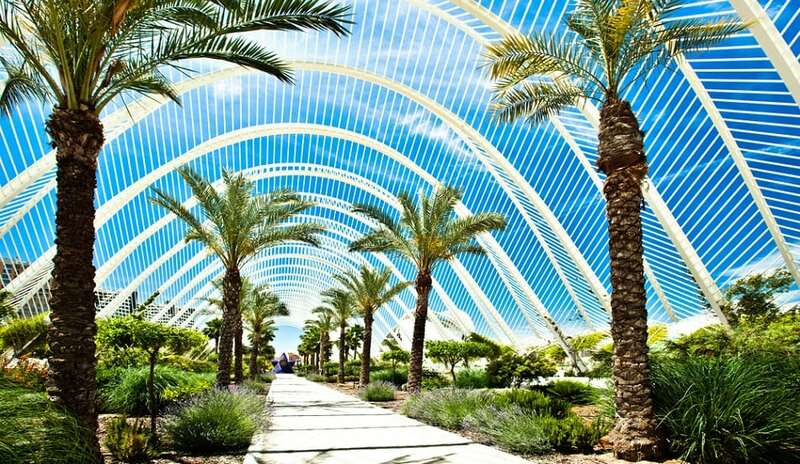 The Umbracle is the entry point to the City of Arts and Sciences in Valencia. It is shaped by a series of 55 fixed arches and 54 floating arches. Filled with native species, palms, orange trees, rock roses, mastic trees, rosemary, and bougainvillea, the garden area changes shape and color with every season, creating different seasonal experiences. Nine sculptures from contemporary artists are housed here as well.